What a wonderful opportunity to be able to put together this ALS scrapbook layout. One of my girlfriends husband works for Paul Davis Restoration. They embarked on the ALS Ice Bucket Challenge. 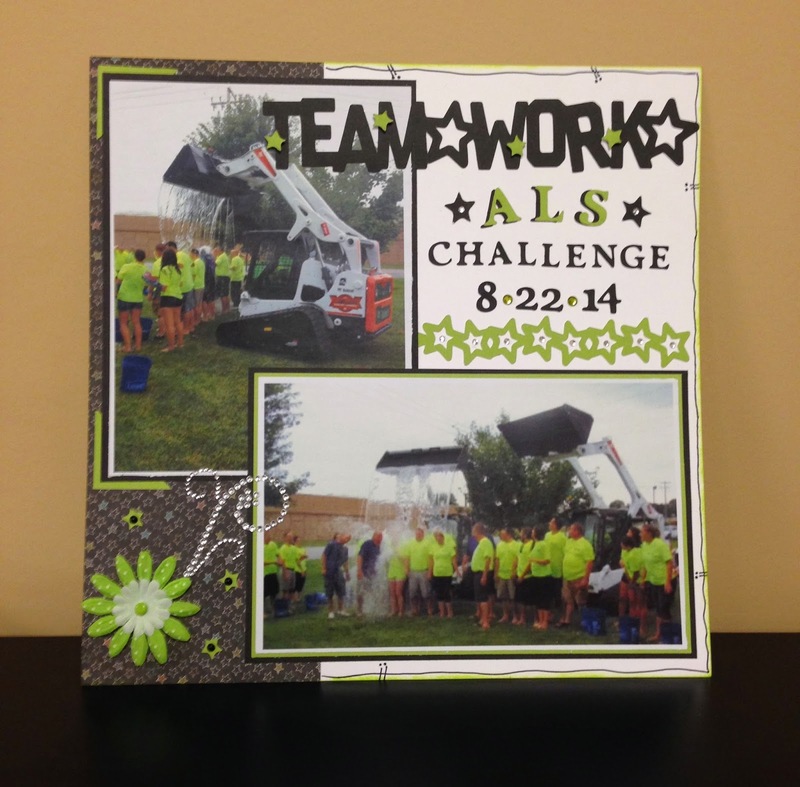 This challenge was near and dear to their hearts as they have an employee who is battling ALS. The employees donated and the company is matching their donations!! FABULOUS!! I have to say this challenge has definitely increased awareness!! How fun is the new Chalk It Up paper?!?! I used a combination of this fun paper pack, pear, white daisy and black card stock. I added some bling and a cute pear colored flower in the stash. The border and title was cut from the Artbooking cricut cart. The ALS Challenge and numbers were cut using the Art Philosophy cricut cart. I colored two of the bitty sparkles separating the numbers using the CTMH Shinhan Touch Twin markers. I love that you can make a clear sparkle any color you want it to be!! I hope they enjoy displaying this layout!! Thank you for stopping by and HAPPY CRAFTING! I am relatively sure I'll be informed many new stuff right right here!